A comprehensive guide to alternative beers in the city. Finding a decent pint in Vienna is not a challenging task. However, with the advent of craft beers and microbreweries, a certain snobbery regarding hops and malt has become pervasive. While most of us are well served with a Krügel of whatever’s on tap, more and more often we find ourselves in the company of someone who refuses to settle for anything commercial. Here are a few spots in Vienna with rare artisanal brews that won’t disappoint. Vienna is certainly no stranger to brewing – Lager was invented in nearby Schwechat by Anton Dreher in 1840. The city’s oldest brewery, Ottakringer, is appropriately named after its location in the 16th district. Around since 1837, it may be best known as a cheap source of intoxication amongst students, yet it too has recently ventured into the world of IPAs, pale ales, and the like with their spinoff brand, Brauwerk. 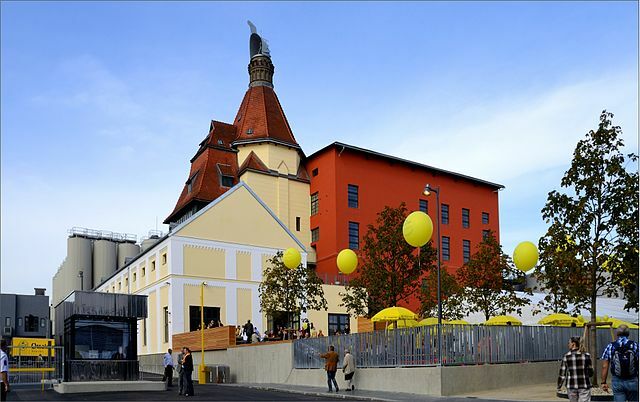 Only a stone’s throw away from their parent company’s smokestacks on hip Yppenplatz, the Brauwerk microbrewery features 4 types of beer and great seasonal food and live music. For those looking for a more traditional atmosphere, fear not: there’s an abundance of beerhalls featuring hearty Austrian dishes and typical local varieties like Weizen, Zwickl and Bock. Only a short stroll from Karlsplatz in the 4th district, Wiedenbräu is a popular neighborhood hangout serving their own light and dark lagers. They also brew limited-run seasonal beers. to go with their choice sausages, cevapcici and ribs. For those who are a bit more adventurous, 7Sternbräu lies just off Mariahilferstrasse in the 7th. Expect classics like Märzen and Weizen, as well as a few unexpected varieties like chili (it’s actually spicy!) and hemp-flavoured beer (with alcoholic intoxication only). It also boasts the city’s only craft beer vending machine for those needing one for the road. In the heart of the city, Kolar marries food and beer in perfect harmony. While most microbreweries typically let their brewing vats catch your eye as you walk in, Kolar prefers to place their stone oven front and center, letting the aroma of freshly baked flatbreads make you salivate. Daily specials go perfect with their Pils, Zwickl or Dunkel. The renewed interest in small-scale brewing has taken Austria by storm, with craft breweries popping up left and right, even though some bandwagoneers may be unable to clearly define the term themselves (a word ending with ipster comes to mind). Few of them actually have their own brewpubs, but there’s plenty of places where they are sold. Bringing laid-back American flair to the 9th district, the Beaver Brewing Company’s selection is constantly changing, with the notable exception of their flagship Beaver Blue Ribbon lager. Read more here. The relatively new Brickmakers Pub & Kitchen has quickly become an institution in the 7th district that few can rival. This pub features 16 craft brews on tap and a collection of over 100 different bottled beers, which all go down well with the dishes from Big Smoke BBQ, their in-house restaurant – now in permanent residence after gaining popularity in its previous iteration as a pop-up on Donaukanal. Lichtentaler Bräu is a brewery hidden away in a traditional Gasthaus in the 9th district serving Austrian and American classics like Palatschinken and burgers. Their offerings range from sour ales to chocolate porters depending on the season, with a permanent spot reserved for their Lichtenthaler Helles. A few blocks away from Hauptbahnhof you’ll find Fassldippler, a new-school brewpub in a distinctly old-school Beisl. Their traditional Viennese menu plays second fiddle to the extensive beer portfolio, featuring a who’s who of the Austrian craft brewing scene. With 15 craft brews on tap, featuring their own creations as well, Hawidere has quickly become a staple for craft enthusiasts. A block away from Naschmarkt, Beer Lovers lives up to its name with a selection second to none. Walls filled with local and international brews meet your gaze at every turn, with 4 beers available on tap you can take home in 1- or 2-liter growlers. Now also offering ingredients for making your own beer, informational seminars and beer tastings. For amateur home brewing equipment, look no further than Beer Store Vienna, located in the 12th district. The friendly staff will help you get started; they also have several great beers on sale, including their own excellent brand Next Level Brewing. While the name may not imply it, Grand Whisky near Taubstummengasse (U1) has a fine choice of Austrian craft beers among their impressive choice of whiskys and gins. Seeking to buy directly from the source? 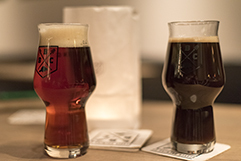 Viennese Microbreweries Xaver and Brew Age both sell their own suds directly to thirsty customers. The Craft Bier Fest has become Austria’s largest celebration of all things craft. These two-three day festivals feature over 50 local and international breweries under one roof. There are two festivals annually in the spring and fall in Vienna, and others in Graz, Linz and Salzburg. A Polish-American who has deemed Vienna home - Greg is a digital marketer and a past Metropole team member.